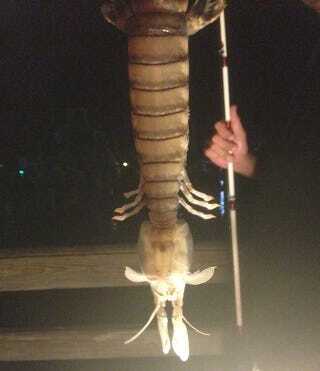 Try to see how long you can stare at this gigantic monster shrimp before becoming wildly uncomfortable and convinced that something totally just crawled across the back of your neck. What if I told you that its eyes are on stalks and can move independently from each other? The ocean needs more chill.